Whatever clothing shop you go into, there always seems to be some kind of leather, or faux leather, clothing for sale. But has this always been the case? When exactly did leather become so popular, and is it still trendy today? Let’s look at a brief history of the use of leather in fashion and where it’s got to today. Leather artifacts have been discovered and dated to as far back as 1300 BC, although there is evidence that leather was used much earlier than this. It’s likely that its first use as clothing was by the Ancient Greeks who crafted sandals out of leather in a style that is still popular today, although with more sophisticated manufacturing processes, of course. It also played an important part in crafting protective clothing for warriors in ancient civilizations such as Greece, Rome, and Egypt. During these times, leather was primarily used out of necessity and for functionality. Over time, and due to improved processes of preserving leather and making it more comfortable, it became increasingly trendy. Leather boots, dress shoes, and sandals are all still incredibly popular in both men’s and women’s fashion due to comfort, durability, and appearance. Perhaps the most iconic item of leather clothing is the leather jacket, but how did it get so popular? Just like ancient warriors crafted leather armor to protect their skin, modern usage of the leather jacket essentially began in World War I when fighter pilots and other military men wore it as part of their uniform, and then again in WWII. Motorcyclists also adopted the garment for the same purpose, to protect their skin in case they came off their bike. A few decades later, the leather jacket was being sported by rebellious movie stars such as James Dean and Marlon Brando, followed by musicians like The Ramones and Elvis Presley. This is where they took on a life of their own, appealing to teenagers trying to break away from their parents’ style and lifestyle. Female musicians in the 1980s, such as Madonna and Debbie Harry, also adopted the leather jacket, paving the way for its popularity in women’s fashion as well as men’s. We won’t even go into the leather trousers trend here, but that’s another fascinating history and fashion movement. Today, the leather jacket and the clothing, footwear, and accessories that come along with it are arguably just as popular as they were in the mid-20th century. Accessories such as leather belts, bags, and wallets are the perfect companion to any outfit, whether it contains a leather jacket or not. 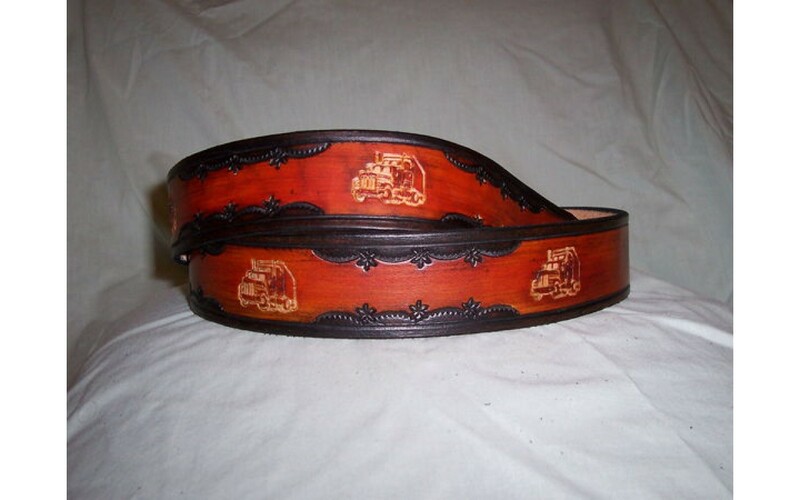 If you want to buy quality custom leather belts and other accessories, then you’ll find a variety of styles on American Custom Leather, with nationwide delivery for all our custom goods.